I want to use this month’s post to help a couple of friends with their fundraising efforts. The first is my friend and former boss Ted Pappas. He has spent the past month running from home to work and back to raise money for the wonderful kids at Stripling Elementary. His company, Corus360, believes that impacting the lives of children in our community is an important part of giving back. As the leaders of our future, their experiences now contribute to both their intellectual and emotional growth that will one day empower them to make a difference. That is why Corus360 Cares is dedicating their Spring 2012 project, Help Ted Run 4 Playground Equipment, to the children at Stripling Elementary. Starting back on February 1st of this year, Ted Pappas, agreed to run to and from their corporate office building every day until the end of the month. His daily running commute was around 12 miles. 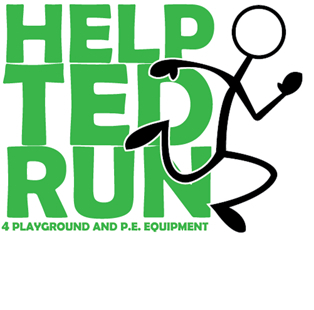 Ted’s goal was to run rather than drive his car every working day during the fundraiser for a total of 252 miles in the month of February. The second cause I wanted to help promote is the Georgia State Champion Lazers Women’s Soccer Team. They have just completed another successful season. 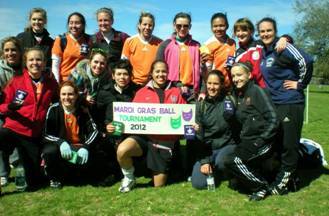 This time they capped their fall season with an incredible victory in New Orleans where they won the top division of the Mardi Gras Women’s Soccer Tournament. As the two-time Champions of the United States Adult Soccer Assn. GAWSA (Greater Atlanta Women’s Soccer Assn.) Division 1 flight, they are heading into the spring season as the reigning Georgia State Champions! Their next stop is the Region III Tournament of the National Cup, to be played at the Houston Amateur Sports Park, home of the Houston Dynamo Men’s pro soccer team. This is where they need your financial help. The Region III Tournament will include state champion teams from Florida, North and South Carolina, Tennessee, Mississippi, Alabama, Louisiana, Arkansas, Oklahoma and two teams from Texas. This is an opportunity for them to represent adult Women’s Soccer in Georgia, and compete against the top adult female soccer players in the US. While this is considered an amateur tournament, the dissolution of the Women’s Professional Soccer league grants even ex-pro’s amateur status. If they reach the National Finals, they would play on the home field of the Chicago Fire, and the match will be televised nationally. The GAWSA will help with the entry fee, and the Georgia Soccer Association may help them with the required tournament travel bond. This is a tremendous show of confidence in the team. But they still need your help to raise money to ensure that they can bring their full roster and represent Georgia and adult women’s soccer. They are a talented, dynamic, dedicated group of women. But without the funds, They simply cannot make this trip to the United States Soccer Association’s Region III Tournament of the National Cup. Their team consists of dedicated female athletes who coach girl’s high school soccer, teach special education, attend graduate school and work at various jobs in our area. They are anchored by our wonderful coach, Frank Chillemi, who has been coaching the Lazers form the very beginning. The tournament will take place over Memorial Day weekend, giving them just three months to reach their goal. Please consider making a contribution to help us get there- any amount will be greatly appreciated!